Latest UK figures reveal Brits are using cash much less than before, with contactless and mobile payments making up the shortfall. The UK is continuing to embrace mobile and contactless payments as the impact of cash continues to decline, new figures have revealed. British consumers and businesses are increasingly shunning physical money in favour of card and online payments, according to the UK Cash and Cash Machines 2017 report from watchdog UK Finance. Overall, the UK made 15.4 billion cash payments in 2016 – an 11 per cent drop from the 17.2 billion seen in 2015, with the total number of cash payments being equivalent to less than half of all recorded transactions for the second year in a row. However even this decline still meant cash was the most commonly-used payment method in the UK, being used 25 per cent more often than the second most frequently-used method; debit cards (11.6 billion payments). 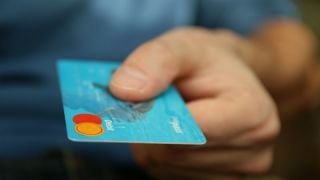 In total, cash payments reached £240 billion, accounting for 15 per cent of the total value of consumer spending, a decline of five per cent compared to the previous year. Cash payments are predicted to fall even further during the next few years, the report claims, with the number of cash payments forecast to fall by 43 per cent to 8.7 billion payments within the next decade - with the total value predicted to fall by 23 per cent to £185 billion in 2026. “It is clear that over the past few years we have witnessed a significant shift away from cash use in this country with contactless cards undoubtedly causing a decrease in the use of notes and coins," said Adrian Buckle, chief economist at UK Finance.